I’ve been plowing through the sequel and I’m about two-thirds done, but that means I’ve been neglecting the web site and keeping readers updated on progress. I hope they forgive me when the next one comes out faster as a result! 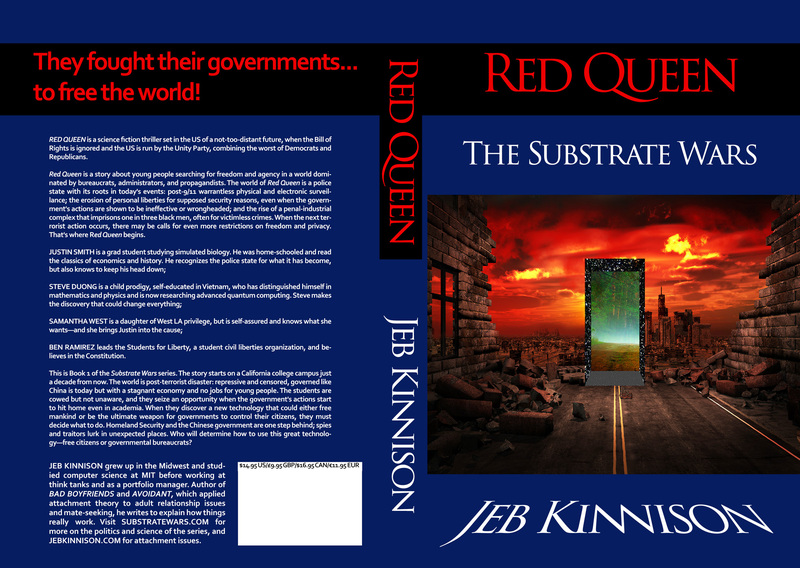 In the meantime, a new Amazon review of Red Queen: The Substrate Wars caught my attention. I can now start telling people to read the first book now because the second will be out in a few weeks…. Great Beginning of a Series! I just sort of tumbled into this buying it because it looked interesting. I write and read books about government shattered futures and it looked quite different than many of the badly written, horribly plotted and generally horrid screeds. I almost couldn’t put it down. Dystopian future, young people trying to make a difference, heavy handed government, college politics and stupidity, really cool science (I’m not a physics nerd but can hum along with the tune once in a while), all within a believable world filled with complex, realistic, fully developed characters told in excellent writing. The author knows his stuff yet doesn’t do an info dump but bringing it to the reader gently and with enough information to make everything hang together right. I honestly believe that Mr. Kinnison is a writer that we should all be watching to see what he will be doing in the future as it sure looks to be interesting! Posted in Books, Government, Science Fiction and tagged artificial life, homeland security, personal freedoms, quantum gateways, quantum transport, red queen: the substrate wars, review on February 22, 2015 by Jeb Kinnison.